On November 12 and 13, 140 will welcome you in for Open House 2016. Open House opens up great spaces to the public for one weekend only. Perth it’s time to look up, around and to the side. 140 is an urban gallery of seven curated works from international and local artists including Matt W.Moore, Nike Savvas, Kyle Hughes-Ogders, Benjimin Johnson, Phibs, Vans the Omega and Beastman. 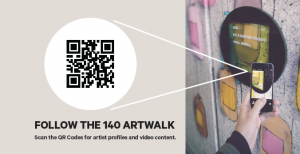 Join us on the 140ARTWALK simply by using your QR scanner on your phone. Find our Open House information booth at the Murray Street entry to Railway Lane for your map and complimentary vouchers from Max + Sons and The Coffee Club. Discover more about Open House. 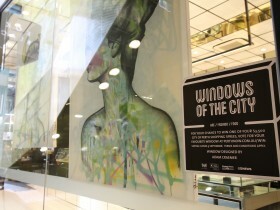 Now in its fifth year, Windows of the City 2016 is bigger and better than ever. Fusing fashion, food and art, Perth City fashion and lifestyle retailers, bars, restaurants and galleries will be collaborating with leading WA creatives to make the City of Perth, a cultural network of unique shopfront artworks. As a destination where food, art and retail collide, 140 has joined forces with Windows of the City to bring our shopfronts to life. Discover installations by Adam Creamer, Rene’ Brink and Lee Joseph in the windows of Koko Black, The Aviary, Bambamboo and East Village. Vote for your favourite window at Perth Now before Friday 9 September, to go in the running to win one of four Perth City $3,500 shopping sprees. Experience the artworks for yourself here at 140 Perth or view the online gallery to see this year’s entries. 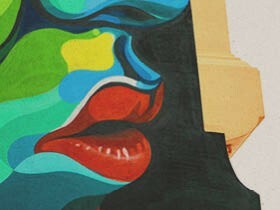 We have transformed our walls, rooves and floors into an urban public gallery. Some of the world’s most inspired artists have woven art, architecture and retail together here at 140, into something unlike anything seen before in Perth. 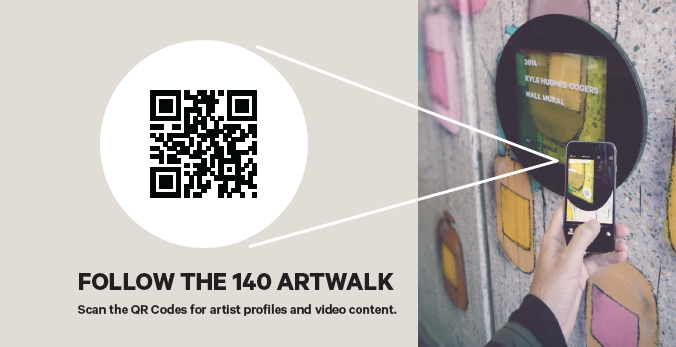 140 ARTWALK has arrived and its time to celebrate the beauty and art in a cement jungle. The six permanent works through out our precinct by Matt W. Moore, Nike Savvas, Kyle Hughes-Odgers, Benjamin Johnson, Phibs, Vans the Omega and Beastman create a walkthrough exhibition with a series of signs that allow visitors to access information, interviews and exclusive behind the scenes installation videos. Take part and be inspired. 140 IS ART. To celebrate the re-imagining of 140, you’re invited to join us at our launch event from 4pm to 10pm on 25 June for 140 ALIVE – a free public event. Enjoy an evening of live entertainment, including a special performance by Gossling, DJ’s, live street art, food trucks and market stalls to mark the official opening of the 140 retail precinct in the Perth CBD. All our restaurants and retailers will be open, so you can take advantage of special one night only offers, wander the laneways. Or simply enjoy dinner at Jamie’s Italian, Brotzeit, Bam Bam Boo or drinks at The Aviary. Cocina Bandito will pop-up again for one night only (think Cuban sandwiches and mojitos for over 18’s!). Koko Black and Max & Sons will be ready with special desserts when you are looking for something sweet. You will find us coming ALIVE on the corner of William and Murray Street Mall, Perth. See you there! 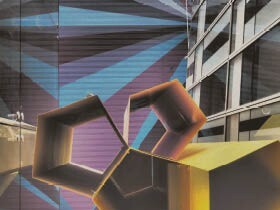 From a global artist who has worked with the likes of Ray Ban, Heineken and the Olympic Committee to ones of Australia’s best street artists to a local jewellery designer who has turned his hand to public art, 140 has woven art, architecture and retail unlike anything seen before in Perth. Perth it’s time to look up, around and to the side. 140 is an urban gallery of six curated works from Matt W. Moore, Nike Savvas, Kyle Hughes-Odgers, Benjamin Johnson, Phibs, Vans the Omega and Beastman. 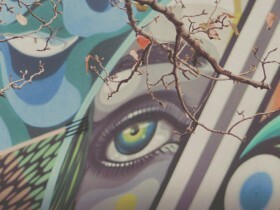 The works are throughout the precinct and create the 140 ARTWALK. Coming soon to 140 will be a series of signs that allow you to access artist information and interviews, background and behind the scenes installation videos on all the pieces.